How Far is ASV Exotica? 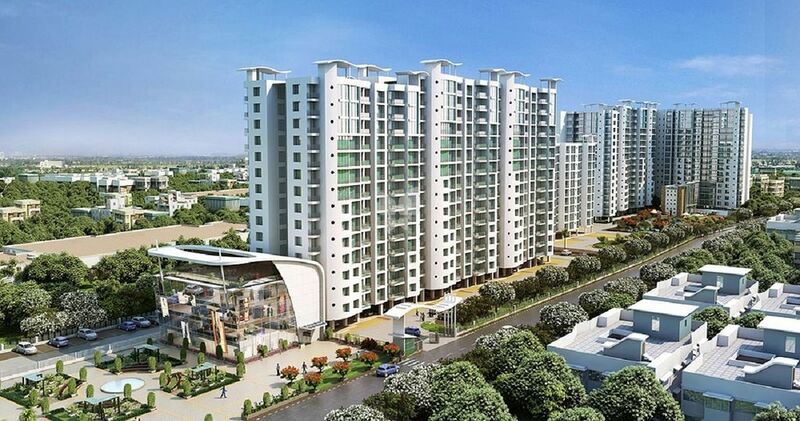 ASV Exotica, located at Chennai, is one of the residential development of ASV Constructions. It offers spacious 1BHK, 2BHK and 3BHK apartments. The project is well equipped with all the amenities to facilitate the needs of the residents. ASV Constructions is a leading real estate company based in the southern Indian city of Chennai. The company shot to fame by pioneering the concept of developing commercial complexes in the vicinity of residential areas. Since its inception in 2000, ASV Constructions has successfully launched a host of commercial complexes – marking its presence across various locations in and around Chennai – 3 million sq. ft. of completed projects with 6 million sq. ft. of projects in the pipeline. The company has now diversified into residential development, catering to upmarket segments – super luxury, luxury and mid-income – offering condominiums, duplexes, row houses and apartments of varying sizes. Presently, the company has projected 6 million sq. ft. of development under homes and residential plots. With a large footprint and proven delivery model, ASV Constructions offers international quality living and business spaces. ASV Constructions is part of the renowned ASV Group. ASV Group provides pioneering solutions in the construction, housing and logistics sectors. Headquartered in Chennai, India, ASV has wide experience, expert capability and proven accountability – combining local knowledge and global expertise to provide innovative solutions. ASV ensures that every solution bears the hallmark for premium quality, clarity in titles and complete adherence to norms and regulations – ensuring an enduring customer relationship. With competent managerial personnel, excellent systems, a panel of eminent architects and engineers and strict adherence to quality at every stage, ASV ensures timely completion of all projects.